This entry was posted in Future Releases on April 18, 2011 by admin. Seems it will be a close re-release 🙂 More details and photos will be added as soon as we get them. 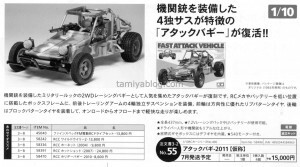 The military look 2WD is equipped with a machine gun as the popular racing Fast Attack buggy gets reprinted. 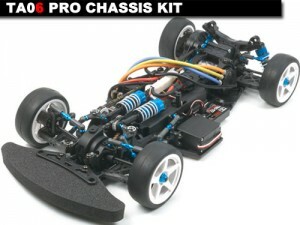 RC frame battery box mounted on a lower position and mechanical equipment of four-wheel independent suspension front and rear trailing arms. Front wheel direction ribbed tires and excellent block pattern tires attached to the rear wheels, so you can enjoy off-road driving from the road to nimble. This entry was posted in Future Releases, Vintage on April 17, 2011 by admin. Update 14.04.2011: More items and numbers added. TA Series remodeled six years. LF brushless motor and batteries, fully compatible with the new power source, the battery vertically focused on the moment the call center / Riyamota design adopted. 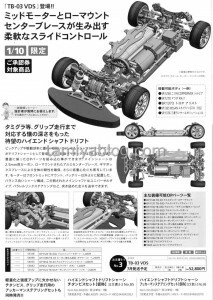 By the drive system and two belt system while the rear gear down, making a new layout and keep the high efficiency and pickups. Motor , tires, body not included. Back into the battery from the chassis. 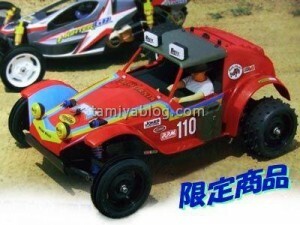 Modified aims mainly to improve the grip around the rear suspension. 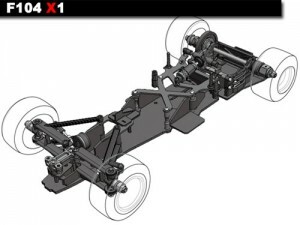 Horizontal mount connects directly to the horizontal upper deck and motor mount will be independent of the damper to control the rolling. 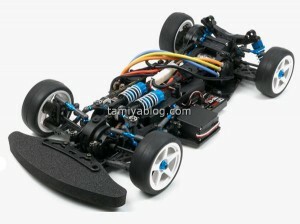 Danpamaunto including shaving of aluminum, the main point is greatly influenced by the running of the machine has become a newly designed chassis configuration. Parts anodized aluminum parts will become the new color of the titanium color, is brought out even more luxury. Motor, tires, wheels not included. 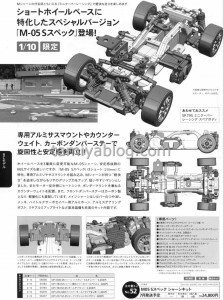 Haiendodorifutomoderu shaft drive. 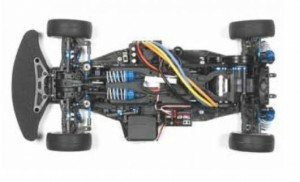 The main chassis 2.5mm thick carbon Arumisentaburesu mounted low, the overall rigidity Giyabokkusuburesu has also contributed to the low center of gravity. TB-gear box is about as common as owning a rich 03 OP can form a part. Tire, wheels, motor, pinion not included. 210mm short wheel base focused on the machine, easy to increase agility while pursuing eear grip aluminum suspension mount built only. Motor heat sink on the other side, serve as a counterweight transponder mount place. Front damper stay has also contributed to weight reduction in carbon. 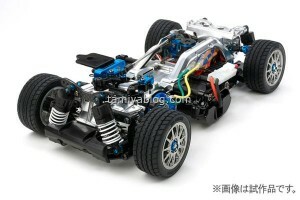 The main chassis matte silver plating, aluminum high torque servo saver horn, aluminum steering post, the kit is complete even basic equipment such as rear aluminum upright. This entry was posted in Future Releases on April 13, 2011 by admin. This entry was posted in Future Releases on April 11, 2011 by admin. 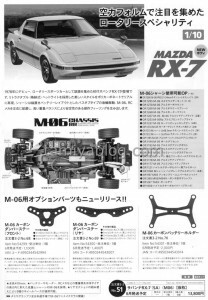 This entry was posted in Event Report, Tamiya Company on April 11, 2011 by admin. 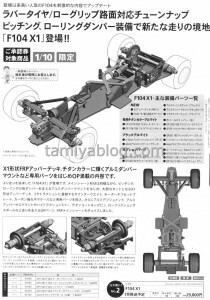 This entry was posted in Media, Tamiya Company, Vintage on April 4, 2011 by admin.